Cloud computing has been a revolution for technology. 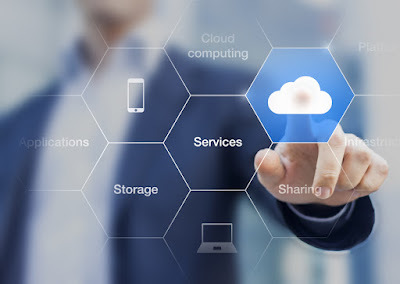 "Cloud" itself has become a broad term, but the services it provides can generally be summed up into three distinct categories: Software as a Service, Infrastructure as a Service, and Platform as a Service. Gaining an understanding of these subsets of cloud computing is essential for businesses and organizations who wish to utilize the benefits of this progressive technology. Software as a Service (SaaS) provides a user access to software via a cloud platform. This is an increasingly popular model of selling and distributing software, effectively overhauling box sales. SaaS creates software on demand, and users will often pay for a license for a period of time, rather than a one-time buy. This can make using the software incredibly cost-effective. While a purchaser of boxed-software may have found it necessary to buy new models in past, SaaS generally will include any updates as they are released, without the need to enter into a new license. Similarly, SaaS allows the creator to distribute updates to all of its consumers immediately, allowing their product to remain cutting-edge. Of course, this also forces the consumer to abide by these updates, as it is frequent that software offered this way will not be covered under a service level agreement unless it is up to date. For enterprises, SaaS greatly outweighs its boxed counterpart in terms of scalability and accessibility. Software provided over the Internet gains the ability to be licensed to different machines on-demand. Consumers who need to purchase more licenses will be able to do so seamlessly. Infrastructure as a Service (IaaS) creates a shared environment within a company. IaaS requires an enterprise to have the technical knowledge to maintain a quality service. IaaS may be represented in any fashion which infrastructure is distributed amongst a company in a virtualized environment. Private cloud hosting, virtual data centers, and virtual private servers are poignant examples of IaaS. The usage of some form of IaaS is, of course, extremely common within enterprises, and represents the modernization of business structure and computing. The major downsides of IaaS surround the actual deployment of the model. Migrating to IaaS is usually incrediblly capital-intensive, and not easy for companies which do not have the resources to deploy. Furthermore, while IaaS may provide a level of scalability within a company's quarters, scaling beyond this region (e.g., to a new geographic location) may prove difficult. A Platform as a Service (PaaS) is also hosted over the cloud but are services primarily accessible through the user's web browser. PaaS provides an easy to set-up, special-purpose environment for business customers. The focus of PaaS is to allow its users, generally within a business environment, to create and grow their services over the Internet. PaaS is frequently used by developers as a convenient and characteristic environment. Similar to IaaS, PaaS can decrease overhead costs significantly, as having the entire platform available across machines and updatable on demand diminishes redundancy and is less resource-intensive to maintain. PaaS may furthermore be a good solution for business with complex needs, but a less capable IT department. However, this can also be a drawback, as the customer may find PaaS as less customizable. Entering into an agreement with a PaaS provider puts a great deal of control outside of the business itself. Furthermore, should a company decide their PaaS is no longer effective for their needs, migrating away from it may prove difficult and nuanced. Encompassing these advantages and disadvantages of cloud integration is the need for its users to gain a greater understanding of the technology. The cloud is a natural evolution for sharing and storing data. While efficiency and simplification may be the target of implementation, nuances surrounding the cloud prove to be anything but simple. A sufficient understanding of the technology and a proactive, thoughtful approach to utilizing it in both business and personal life may prove to be as necessary as learning to use the Internet itself, as generations before found themselves required to do.